M1 Derbyshire - One lane closed on M1 southbound from J29a, A6192 (Markham Vale) to J29, A617 (Chesterfield), because of a broken down car. Traffic is coping well. M1 Leicestershire southbound severe accident, from J22 for A50 Coalville to J21 for M69. M1 Leicestershire - One lane closed and slow traffic on M1 southbound from J22, A50 (Coalville) to J21, M69 (Leicester), because of an accident involving two cars. M1 Derbyshire both ways severe disruption, from J25 for A52 Brian Clough Way Nottingham to J26 for A610 Nottingham. M1 Derbyshire - All traffic being temporarily held and animals on the road on M1 in both directions from J25, A52 (Nottingham) to J26, A610 (Nottingham). A man found injured in a house in Derby on Sunday was later pronounced dead at the scene. 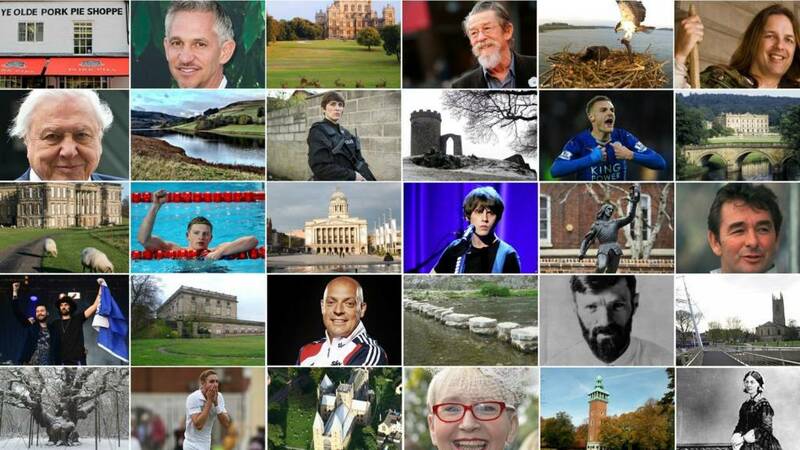 East Midlands Live has now finished for the day but some links to our articles may continue to appear on this page. Live updates will resume at 08:00 on Thursday. Rajesh Parekh kept money Elizabeth Gobel paid him for a pre-arranged funeral in November 2016, a court heard. Tonight will be dry with some clear spells but there will also be large areas of cloud drifting in from the east. It'll feel cold and be rather breezy. Thursday will be a cold and blustery day but it will stay dry with spells of sunshine and some patchy cloud. You might want to brace yourself for a lot of politics tonight as Conservative MPs decide the fate of the prime minister Theresa May. Here's what some of our local representatives have been saying on Twitter. 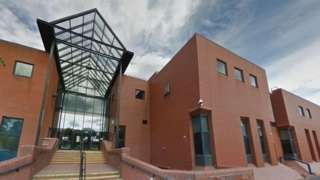 A man and a woman have been arrested in connection with five handbag robberies, including one which saw two women pushed to the floor. One of the robberies saw two women, aged 86 and 85, pushed to the ground in Woods Hill, Sutton in Ashfield, before one had her handbag taken. The 33-year-old man and 29-year-old woman have been questioned, with the man remaining in custody while the woman has been released under investigation. The robberies happened in Alfreton Road and Stoneyford Road in Sutton in Ashfield, Blackwell Road in Huthwaite and Main Road in Jacksdale between 13 and 19 October. A 23-year-old man arrested in connection with a shooting in Nottingham has been released by police while their investigation continues. He was arrested yesterday on suspicion of causing grievous bodily harm with intent and possession of a firearm with intent to endanger life. 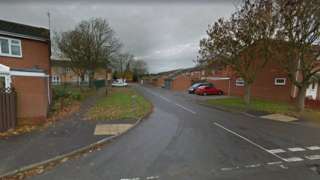 It's after a 31-year-old man was shot in the leg in the Eversley Walk area on the evening of Friday 9 November. His injuries were not life-threatening or altering. You've heard of firefighters rescuing cats trapped up trees - but how about puppies stuck under gates? This pair of firemen saved Maisie the Alsatian on Valley Road in Chaddesden this afternoon. A trio of teens from Nottingham have gone missing today and police believe they are all together. They are appealing for anyone who sees 12-year-old Serena Roome, 16-year-old Daria Gralewska and 14-year-old Haiden Eley to let them know as they are concerned for their safety. It is not known what they are currently wearing but all are between 5ft 1in and 5ft 5in tall. "Extensive damage" has been caused to a store in Coalville during an attempt to steal a cash machine. Police were alerted to the break-in on Whitwick Road in the early hours of this morning. When officers arrived they disturbed three suspects who made off empty handed in a Ford Focus. During their escape a police car was hit and damaged. The Focus was later found abandoned nearby. Police have said the investigation is in its early stages and that CCTV is being reviewed. A man's body has been discovered on land off Golf Close in the Bulwell area of Nottingham. He was found just after 08:00 this morning. Police have said his death is not being treated as suspicious at this time. Sarah Gordy MBE is the first person with Down's syndrome to receive the honour from a UK university. The head of Nottingham City Council has resigned his position as the director of the council-owned energy company Robin Hood Energy. Councillor Jon Collins, who represents the St Ann's Ward for Labour, has said he is busy with other commitments. A joint statement from Robin Hood Energy and Nottingham City Council said: "Jon Collins has resigned as a director at Robin Hood Energy because he is busy with his regeneration portfolio at the council and his work to secure the development of the south side of the city." The company, which is wholly owned by the Labour-run city council, was set up as a not-for-profit energy company in September 2015 with an initial loan from the council of £11.6m. In July this year, it reported a small profit, which was then re-invested in the company. The previous financial year, it posted a loss of £7.6m. A car and a motorcycle have crashed in Wigston blocking Aylestone Lane. More on this as we get it. Congratulations to Sarah Gordy who has received an honorary degree from the University of Nottingham. 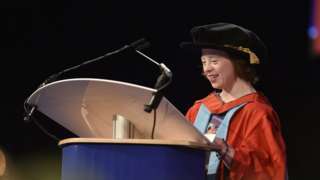 The 40-year-old actress and campaigner made history by becoming the first person with Down's syndrome to receive an honorary degree by a UK university. In her acceptance address the Call the Midwife star said she was on an "unexpected journey" and told graduates to "believe" in themselves. An 85-year-old man was pushed to the floor and robbed as he walked home from his local pub in Radford last night. The pensioner told police he had left The Plough Inn at about 18:45 and was attacked in Churchfield Lane by a man in front of him who kept turning and stopping. After pushing him to the ground, the robber took a bag containing shopping items, his house keys, cash and a Samsung tablet. Set Sgt Kylie Westlake said: "The victim wasn’t injured but has been left extremely shocked and shaken by what happened. "Our inquiries are ongoing, including checking CCTV footage, and we’re appealing for anyone with any information about this robbery to get in touch."